By applying a pressure that exceeds the osmotic pressure, the reverse effect occurs. Fluids are pressed back through the membrane, while dissolved solids stay behind. 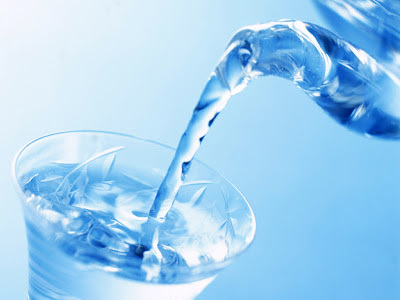 To purify water by Reverse Osmosis membrane, the natural osmosis effect must be reversed. In order to force the water of the brine stream (high salt concentration) to flow towards the fresh stream (low salt concentration), the water must be pressurized at an operating pressure greater than the osmotic pressure. As a result, the brine side will get more concentrated. The operating pressure of seawater is around 60 bar. What is heat pollution, what causes it and what are the dangers? In most manufacturing processes a lot of heat originates that must be released into the environment, because it is waste heat. The cheapest way to do this is to withdraw nearby surface water, pass it through the plant, and return the heated water to the body of surface water. The heat that is released in the water has negative effects on all life in the receiving surface water. This is the kind of pollution that is commonly known as heat pollution or thermal pollution. 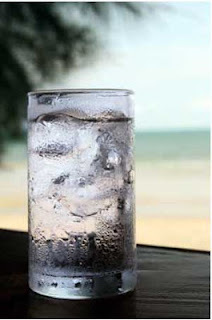 The warmer water decreases the solubility of oxygen in the water and it also causes water organisms to breathe faster. Many water organisms will then die from oxygen shortages, or they become more susceptible to diseases. There are several classes of water pollutants. The first are disease-causing agents. These are bacteria, viruses, protozoa and parasitic worms that enter sewage systems and untreated waste. A second category of water pollutants is oxygen-demanding wastes; wastes that can be decomposed by oxygen-requiring bacteria. When large populations of decomposing bacteria are converting these wastes it can deplete oxygen levels in the water. This causes other organisms in the water, such as fish, to die. A third class of water pollutants is water-soluble inorganic pollutants, such as acids, salts and toxic metals. Large quantities of these compounds will make water unfit to drink and will cause the death of aquatic life. Another class of water pollutants are nutrients; they are water-soluble nitrates and phosphates that cause excessive growth of algae and other water plants, which deplete the water's oxygen supply. This kills fish and, when found in drinking water, can kill young children. Water can also be polluted by a number of organic compounds such as oil, plastics and pesticides, which are harmful to humans and all plants and animals in the water. A very dangerous category is suspended sediment, because it causes depletion in the water's light absorption and the particles spread dangerous compounds such as pesticides through the water. Finally, water-soluble radioactive compounds can cause cancer, birth defects and genetic damage and are thus very dangerous water pollutants. Water pollution is any chemical, physical or biological change in the quality of water that has a harmful effect on any living thing that drinks or uses or lives (in) it. When humans drink polluted water it often has serious effects on their health. Water pollution can also make water unsuited for the desired use. When water is enriched with nutrients, eventually anaerobic bacteria, which do not need oxygen to practice their functions, will become highly active. These bacteria produce certain gasses during their activities. One of these gases is hydrogen sulphide. This compounds smells like rotten eggs. When water smells like rotten eggs we can conclude that there is hydrogen present, due to a shortage of oxygen in the specific water. What causes white deposit on showers and bathroom walls? Water contains many compounds. A few of these compounds are calcium and carbonate. 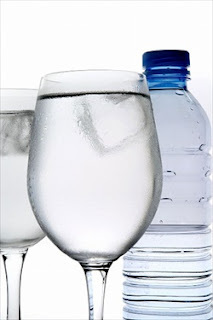 Carbonate works as a buffer in water and is thus a very important component. When calcium reacts with carbonate a solid substance is formed, that is called lime. This lime is what causes the white deposit on showers and bathroom walls and is commonly known as lime deposit. It can be removed by using a specially suited cleaning agent. Where does water pollution come from? Water pollution is usually caused by human activities. Different human sources add to the pollution of water. There are two sorts of sources, point and nonpoint sources. Point sources discharge pollutants at specific locations through pipelines or sewers into the surface water. Nonpoint sources are sources that cannot be traced to a single site of discharge. Examples of point sources are: factories, sewage treatment plants, underground mines, oil wells, oil tankers and agriculture. Examples of nonpoint sources are: acid deposition from the air, traffic, pollutants that are spread through rivers and pollutants that enter the water through groundwater. Nonpoint pollution is hard to control because the perpetrators cannot be traced. How do we detect water pollution? Water pollution is detected in laboratories, where small samples of water are analysed for different contaminants. Living organisms such as fish can also be used for the detection of water pollution. Changes in their behaviour or growth show us, that the water they live in is polluted. Specific properties of these organisms can give information on the sort of pollution in their environment. Laboratories also use computer models to determine what dangers there can be in certain waters. They import the data they own on the water into the computer, and the computer then determines if the water has any impurities. What is acid rain and how does it develop? Typical rainwater has a pH of about 5 to 6. This means that it is naturally a neutral, slightly acidic liquid. During precipitation rainwater dissolves gasses such as carbon dioxide and oxygen. The industry now emits great amounts of acidifying gasses, such as sulphuric oxides and carbon monoxide. These gasses also dissolve in rainwater. This causes a change in pH of the precipitation – the pH of rain will fall to a value of or below 4. When a substance has a pH of below 6.5, it is acid. The lower the pH, the more acid the substance is. That is why rain with a lower pH, due to dissolved industrial emissions, is called acid rain.